- could this harbour bad "Bugs"
- So do you punch down the Grain Cap? - If so how often? - Do you remove the Grain Cap off the ferment? - Will the excess of CO2 held down on the fermentation by the Grain Cap " poison the yeast " ( did I read that somewhere)? 8 lbs - @ Row Malt Crushed with gap of .035"
8 lbs - @ Munich Malt Crushed with gap of .035"
- Added Malts plus enzymes for 3 hours rest temp down to 140 Deg F.
- Chilled with copper coil to 70 Deg F.
- inoculated wort with the yeast. I never do...unless it's trying to climb out of the fermenter. equipment: 4" Mac 4 with packed section and gin basket on a 50lt boiler with 2 2400w FSD elements. Tuner wrote: - Will the excess of CO2 held down on the fermentation by the Grain Cap " poison the yeast " ( did I read that somewhere)? I've never heard of that before...sounds very dubious. The yeast turn anaerobic anyway. Last edited by tipsy on Mon Dec 18, 2017 3:53 pm, edited 1 time in total. Nah co2 wont poison the yeast. Personally have never knocked down the grain cap. Lacto and other bacterias are present on the grain itself so when fermenting on the grain unlesd you boil the mix before pitching yeast then good chance of infection. Idea is get it cool fast after mashing and pitch a good healty yeast starter that will outpreform the bacteria and give you a good fermentation. If bacteria gets solid hold first it is harder for the yeast to work..
Condenser hase 1/2 inch ball valve with hose fittings . Last edited by Aussiedownunder01 on Fri Mar 02, 2018 6:20 am, edited 1 time in total. I think you're over complicating a bit. You shouldn't need to add citric and with that amount of malt you also shouldn't need to add enzymes. If you add half the malt at 70c and the rest at 65c you'll get pretty good conversion. Lacto is on grain naturally and is usually viewed as beneficial in a bourbon style whisky. It may sound basic but make sure you clean your hands very thoroughly as I think they are usually the source of most infections. 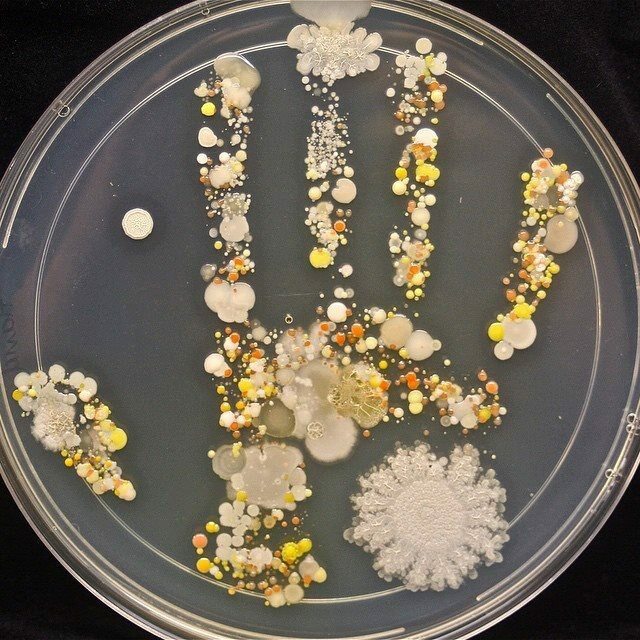 As the side of a moderately washed fermenter isn't conducive to the growth of most bacteria in comparison to our warm sweaty hands. In Dr. Chris White's book YEAST I remember reading that yeast produce CO2 and Alcohol to keep other wild yeasts, bacteria and molds from taking over their food supply. They also cause a drop in Ph as they eat the sugars. These things work well for them until they eat to much sugar and produce so much CO2 and alcohol that they poison themselves and they die too. To keep them healthier you should keep things from getting to high. Wine and mead makers will stir (gently so as not to add O2) to release the CO2 improving the environment somewhat. CO2 is a poison for yeast as is alcohol. You can control the CO2, you what to keep the alcohol. Decrease one factor and it will help them tolerate the other. Yeast will get use to the Alcohol, that's why you can keep adding additional sugar to a ferment and even thou you have gone over their tolerance level , they will stay healthier. That's one method beer makers use to get very high alcohol beers. Punching down the grain cap, everyday, will coat the grains with alcohol and keep it from drying out, keeping the bacteria and molds from growing. If you want the slight infection for flavor, don't punch the grains down too much. Just realize that what sugars the bacteria and molds eat will affect the amount available to produce alcohol, unless you are lucky and have a lactobacillus that also creates alcohol. equipment: None, I'm new to the hobby. I've been a beer brewer for 23 years. Building a CCVM still that can be used as a pot still when I want. Just to add to Dan's post, in winemaking the cap is punched to extract colour and tannin, reduce heat build up and also to stop it drying out. That drying out invites bacterial infection such as acetification (vinegar) and oxidation (loss of colour). The toxic environment to yeast at the beginning of a ferment is actually the sugar content/density of must. Towards the end of ferment the environment is different and high alcohol content can become toxic. It is those reasons a good environment for the yeast needs to be kept to avoid stalls/H2S/VA issues when they are under stress. During initial ferment there is 02 dissolved during the crush etc which is quickly used up by the yeast to synthesize fatty acids and sterols which is used in reproductive growth. It's actually the sterol level in the cell and synthesis that maintain yeast levels and dependent on oxygen being introduced. There's more to the oxygen levels and volatiles but that's a wine making issue. Punching the cap method introduces the least amount of O2 out of most methods, in wine making they'll pump over caps/pump to a splash pan and back over cap/in line aerators etc. I'm not familiar with grain ferments but hopefully the info might be of some help.